Eddie Schoenfeld—aka “Eddie Glasses”—is one of the New York culinary establishment’s most recognizable figures. A bald, portly fellow with a gap-toothed grin, he can frequently be found standing in the front of RedFarm, the white-hot modern Chinese restaurant he created with Joe Ng. Although given to bombastic claims (he frequently claims to have invented General Tso’s chicken), Schoenfeld is without question the foremost authority on Chinese food in the New York City food world, a fact that greatly dis¬pleases any number of ethnic Chinese gastronomes. Hailed as the “reigning monarch” of the Chinese food scene and “part gourmet, part showman” by USA TODAY, Glasses is glorying in an undreamt level of late-career success. Schoenfeld has a long and accomplished career in food. He was the Eddie in Vince and Eddie’s, and was involved with the creation of many of the pioneering Chinese restaurants of the 1970s. 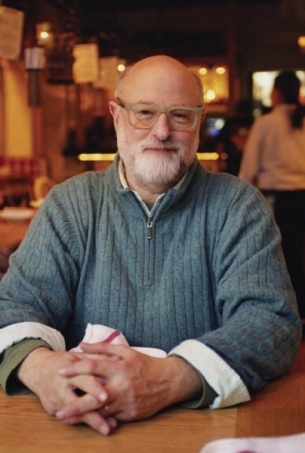 He was the maître d’ wearing a blue polyester tuxedo at the seminal Uncle Tai’s restaurant, close with the Shun Lee Palace guys, and a creative force behind dozens of restaurants ranging from the popular (Vince and Eddie’s) to the not so popular (Chop Suey Louie’s). Eddie is endearing and annoying and impossible to dislike. He radiates waves of warmth, and his enthusiasm for food is unfeigned. It used to drive him crazy that he wasn’t more famous, so he would tell you how much he knew and what he had done. But he did know a lot, and he had done great works. I sat in his kitchen recently and asked him about Chinese food while he bustled around working hot oil in his wok, interrupting himself periodically to petulantly demand ingredients from his long suffering wife Elisa. Josh Ozersky: OK, Eddie, so it’s a Sunday night. You’re at home and you want to order out for Chinese food. What’s your standard order? JO: You don’t know if it’s good. It’s just the random Jade Garden-type Chinese restaurants. ES: Spare ribs and maybe some noodles. JO: What kind of noodles? JO: OK, OK. I don't care about that now. I just want to know about regular takeout. ES: Well, that's it then. JO: But without getting into the whole history of David Lo Pan and all the influential chefs, would you say that bozo Cantonese food, the stuff we all grew up eating, is any good? JO: No, no. I mean regular Chinese food. ES: Well, I’d have to say it depends, but that’s what I would get. I probably wouldn’t get seafood, which might not be so fresh. JO: I know what you mean. On Mott Street sometimes you walk by the fish markets and they smell super rank and gnarly. ES: Any community can have good stores and bad stores. You should know that in Cantonese neighborhoods, especially in Hong Kong or Singapore, they don't want fresh seafood—they want live seafood. On Elizabeth Street, there's a Cantonese restaurant called Oriental Garden, and there a mulitple fish tanks where you pick out the fish you will be served. It's extraordinarily fresh and prepared in a very skilled, very high-level way. They cater to a very discerning Chinese clientele. You can easily spend more at Oriental Garden than at Le Bernardin. JO: That's good. But let me ask you something else, Eddy. Not that I'm not interested in Cantonese banquet cookery, but Revel in New York readers need guidance. What, in your opinion, are the best Chinatowns in New York, in order? ES: The best restaurants are in Flushing, the best shopping is in Brooklyn, and the best combination of both is in Manhattan. 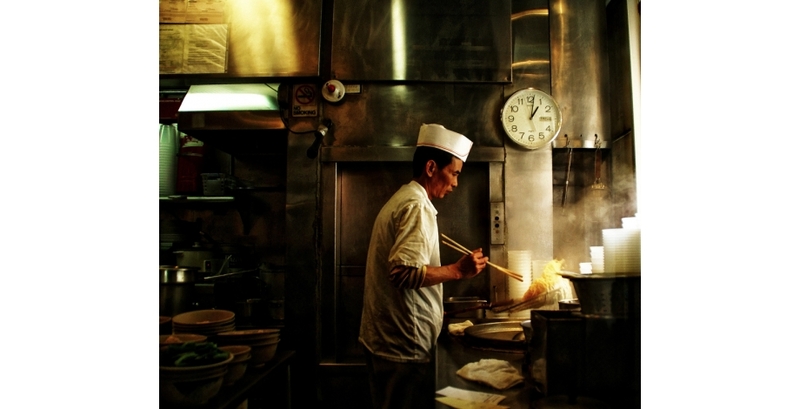 Flushing is a more affluent neighborhood; it’s catering to more of a suburban Asian customer. Also, don’t forget, it’s not just Chinese. There are also Korean and Japanese and Thai communities out there. If I had to eat one meal, it would be in Flushing. Shopping is third place. The best shopping in the city is in Brooklyn’s Chinatown, the epicenter of which is on 8th Ave. and 58th St. There are three different fish markets. One of the fellows specializes in blue crabs and has soft shells when they’re in season. There are live fish tanks everywhere. There’s a tofu manufacturer who also makes rice noodles. There are live frogs, razor clams, live sea bass, Santa Barbara prawns, lots of kinds of mussels, and lots of grades of shrimp—even live shrimp. There are people from fishing boats in Sheepshead Bay, illegally selling fish. There are food carts on the street. It's very crowded and very fun. It really is transporting. On Mott Street you feel like you're in a Chinese neighborhood in New York. But here, you feel like you're in Hong Kong, even though it's Brooklyn.